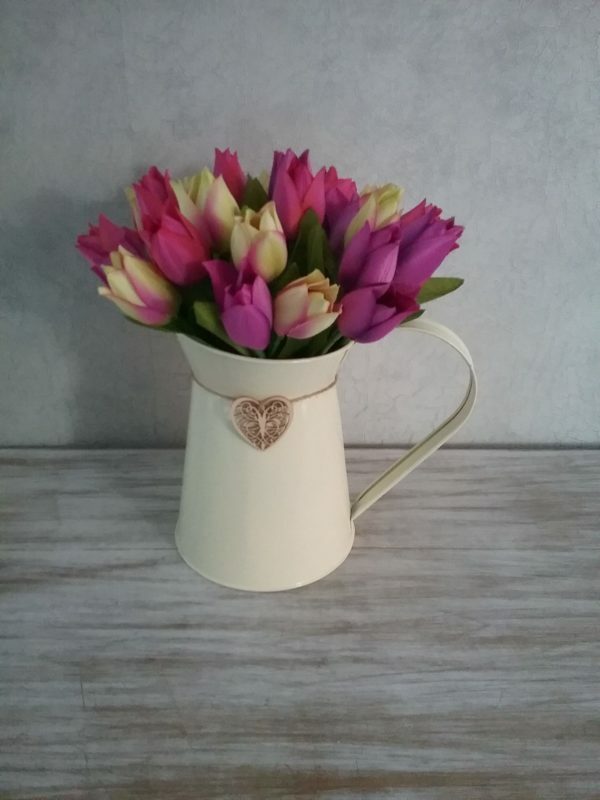 Colourful Tulips look amazing in a pretty rustic style jug. 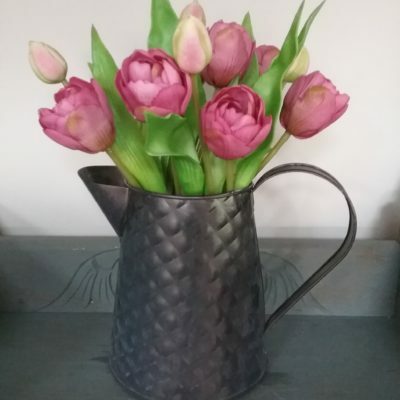 Bright Tulips fill a rustic style jug. 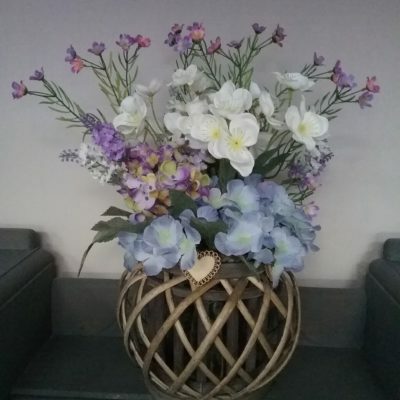 These beautiful flowers are a favourite all year round ,and therefore the stunning rich tones of this display will brighten up any kitchen window sill. 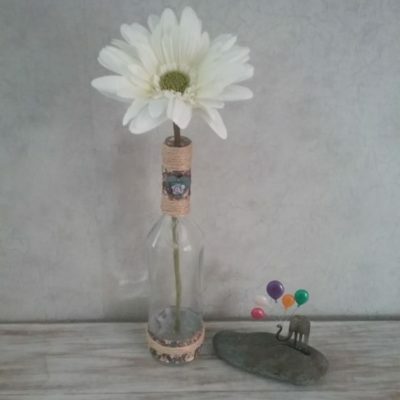 A little decorative heart tied around the jug just finishes it off perfectly.